First came the rumor. Then came the official admission. Now comes the debut. 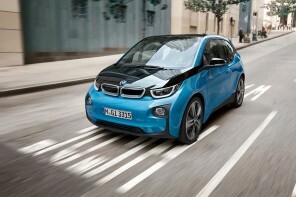 Today BMW M takes the wraps off of its first products with diesel engines. No they aren ‘t M cars in the classic sense but they are a new breed of cars created by M to bridge the gap between full M products and “Series ” cars. However being that these first products are diesel, they will not be coming to the US. With diesel certification an extraordinarily pricey affair for the US market, projected sales don ‘t justify the investment. Forbidden fruit or not, the numbers look extraordinary; 381 hp and 546 lb-ft from a triple turbocharged inline six. Power is driven through an eight speed automatic gearbox and put down to the pavement via a revised xDrive system. The results as impressive as expected – 0-60 should fall somewhere in the mid four second range. Numbers aside it ‘s the engine that has us most interested. This is BMW ‘s first application of a triple turbo set-up and one of the first in the automotive industry. The size, arrangement and interplay of the turbos are designed to guarantee maximum power across the power range. The system comprises two smaller and one larger turbo. According to the driving situation, the low moment of inertia of the small turbochargers is exploited to the full to deliver razor-sharp responses, while the link-up with the large turbo is maximised to generate as much charge pressure as possible. You can read more via the official press release below and the full gallery after the break. And if you still can ‘t get enough you can download the entire full (and lengthy) press release after the break. The eight-speed Sports automatic transmission with enhanced gearshift dynamics and the xDrive all-wheel-drive system – tuned to suit the individual model and emphasise the traditional rear-wheel set-up of BMW cars – transfer drive to the road with characteristic élan. 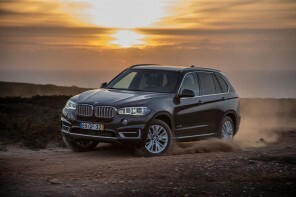 Chassis technology which has likewise been modified using BMW M GmbH expertise ensures that the hallmark agility of BMW X models is geared even more intently to enhancing sporting capability. The BMW X5 M50d and BMW X6 M50d also underline their dynamic tendencies in the form of model-specific body features, which optimise both the supply of cooling air for the engine and the cars’ aerodynamic properties. 19-inch (BMW X6 M50d: 20-inch) M light-alloy wheels are also fitted as standard on these models. 20-inch light-alloy wheels in Ferric Grey developed exclusively for the BMW M Performance Automobiles can be specified as an option. Plus, Ferric Grey metallic exterior mirror caps and air intake bars – another distinguishing feature of BMW M Performance Automobiles – give the cars an even more individual visual appearance. BMW M Performance Automobiles: using outstanding expertise to increase driving pleasure – a tried-and-tested concept. In 1980 an additional BMW 5 Series model was unveiled for the first time; the BMW M535i boasted a significant increase in output (to 160 kW/218 hp) and modifications to the chassis, brakes, gearbox and rear differential. Also developed on the basis of the second-generation BMW 5 Series was the BMW M535i, which was on sale from 1984 to 1987 – alongside the BMW M5 following its 1985 launch. With its extra power moulded flawlessly into dynamic excellence and stand-alone stylistic identity headlined by aerodynamically optimised body components, the BMW M535i provided full-blooded driving pleasure yet also unhindered day-to-day usability. It marked the realisation of a concept whose success was rooted primarily in the harmony between powertrain, chassis and design achieved by BMW M GmbH, and which has now been revived in a fresh new form with the BMW M Performance Automobiles. Can someone explain to me how this isn’t diluting the M brand? Brands can only stretch so far. I get that BMW needs to sell cars to stay profitable and this will be a good business decision, but it’s my opinion this is a sad day for the M brand and sad for existing owners of old-school M cars. Sad. I sooo want that wagon! I am going to ram my head into my marble desktop if I have to explain this again. They are not M cars! they are “massaged” by M. They said they are doing this so they can avoid things like diesel and X-drive in the true M cars. What else would you have called them? oh and may I point out, Audi’s S cars are far less developed than these and Merc’s AMG pack is purly cosmetic so if you are angry at BMW, which brand would you say did it better? AMG? Audi? Maybe Ferrari should scrape its logo’s off of the V8 Engines that Maserati use to keep the brand pure, oh wait Porsche should just go back to making nothing but the 911 range. Oh hold on Lamborghini too, they should only make the big V12 cars. While we’re at it lets get VW’s to all be air cooled and lets get GM to make Fiero’s that catch fire again! Jesus! forum trolls crawl out of the woodwork these days, listen I suggest you write BMW AG in Munich and tell them how you disapprove of there buisness practices and that you could make better ones, we’ll see if they do anything but laugh at you! Tu sei un testa di cappa!!! Thanks for the pro tip Adam. I’m sure people will get it. I’m sorry, here I have a gift card to Home Depot, $25, go buy yourself some sand and pound on it! It’s clear you don’t understand my point Adam (that the use of the letter “M” on non-M cars is a branding issue that I consider negative). But thanks anyway for the pro tip. When people point to the M on the back of their new diesel and tell me they’ve bought an M the same as my 1M…I’ll be sure to borrow your line…what was it again…oh… “They are not M cars! They are MASSAGED by M.” I’m sure people will get it. From 1979 till ’81 BMW offered the M535i (not M5), from ’85 till ’88 the E28 M535i and M5 coexisted, and lets not forget the E24 M635CSi. Lets go further, the 850CSi had little M badges all over the damn thing but wasn’t sold as or labled as an M, the X5 4.6 and 4.8is… same deal tons of M badges and even M gauges and yet was never an M, and the Z8 too. In Italy they buy Dolce and Gabbana and you’d never know it, they dont care what the tag says, yet here in the good ‘ol USofA you buy an Abercrombie shirt and it says A&F in huge letters so everyone knows what your wearing, and somehow it matters. BTW how do you even know what effect this has? 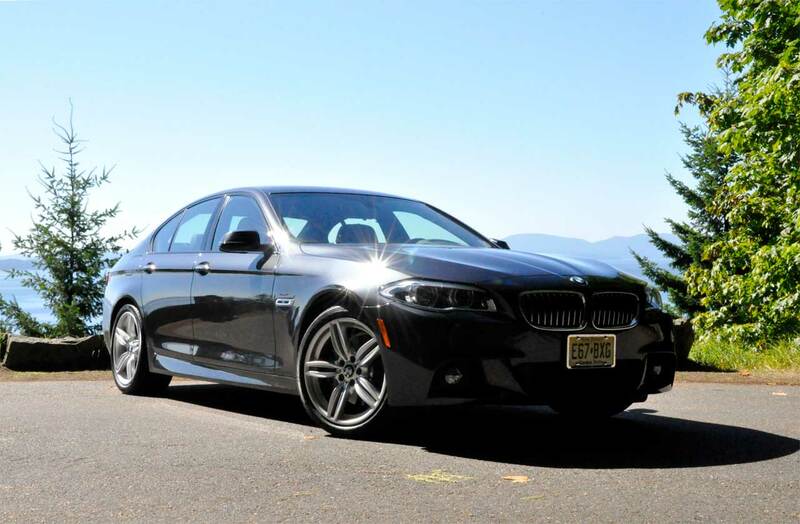 have you ever even owned an M model in your life? Michael and Gabe are M owners ask them how emotionally damaged they are by this. Hey Adam. I own an E30 m325i and a 1M. Actually just today I took my E30 m325i to a paint shop for a touch up and they wrote on the quote book E30 M3. I thought that was kinda funny. Anyway. I don’t believe BMW always get it right. I think using the M on a wider and wider set of vehicles only serves to water down the M brand. They’re all great cars, certainly, but it adds confusion in the marketplace. Just like BMW got it wrong (in my opinion) with “Joy Is” as do I believe they are getting it wrong by widening the vehicles they choose to put the M badge on. So a twin turbo 3.0L engine is a 50 on the badge!? tri-turbo. And yes, BMW’s badges now go by the ‘virtual displace’ rather than actual displacement in the car. So if the car performs like a 50, then it’s gonna get a 50 badge. That Xdrive 5-er wagon is to die for. Got it all … Fast, Grippie and Miserly, and Roomy. Too bad I’ll be moving into NYC and no longer have a reason to have a vehicle like that; what timing. But that there, is my perfect car. Period. 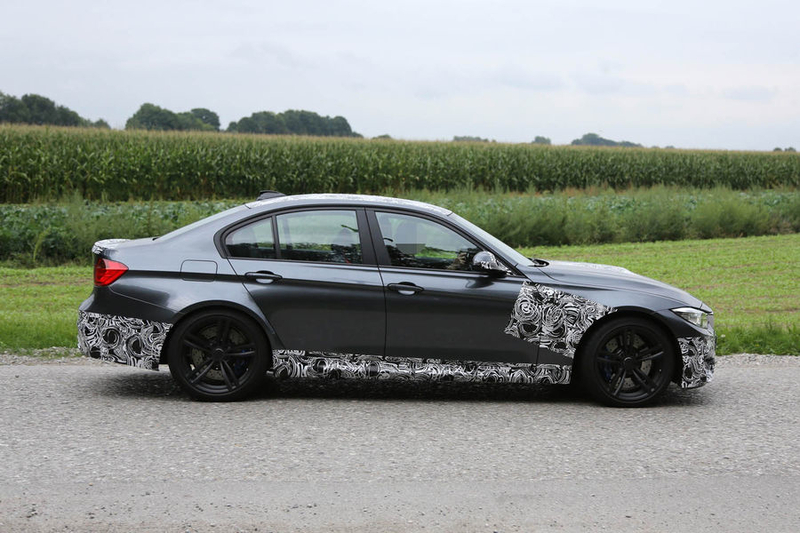 Looks like these are the first AWD Sedan/Wagon models available with either a sports or ///M suspension. That is a bit different from the high rider AWD models BMW has always given us in the past. I was wondering if BMW would ever take AWD seriously in a perfomance model. I am going to dig into this deeper about the suspension. Chas- BTW, remember when I said they could do an inline six with three turbos and got my head ripped off (elsewhere) that it was impossible guess some people just like to think they know stuff.